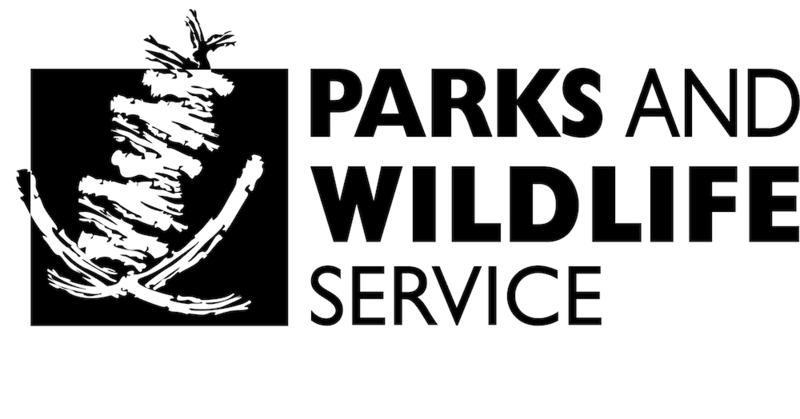 With the removal of a large proportion of feral animals from Peron Peninsula by 1997 and subsequent recovery of vegetation, Project Eden began reintroducing wildlife to Francois Peron National Park. 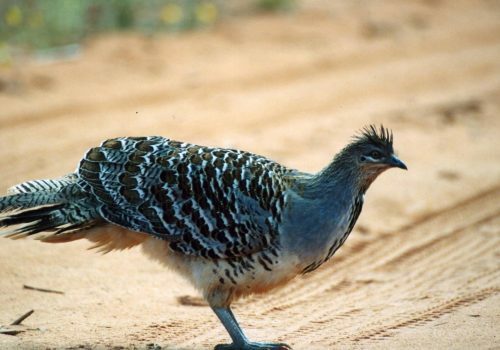 Six species once found on the peninsula were reintroduced, although the only two that established viable populations were the malleefowl and bilby. While still quite rare, these species have been breeding on the peninsula for several years and are occasionally seen on roads and tracks in and near the park. The malleefowl is a large, ground-dwelling bird that flies only when alarmed. It uses powerful legs to build nest mounds up to a metre high. Much of the mallefowl’s decline appears to be due to habitat destruction and predation of eggs and young. Project Eden collected mallefowl eggs from the wild in Kalbarri National Park, Nanga Station and northern wheat-belt reserves. The eggs were artificially incubated and the chicks hand-reared in the Peron Captive Breeding Centre before release. 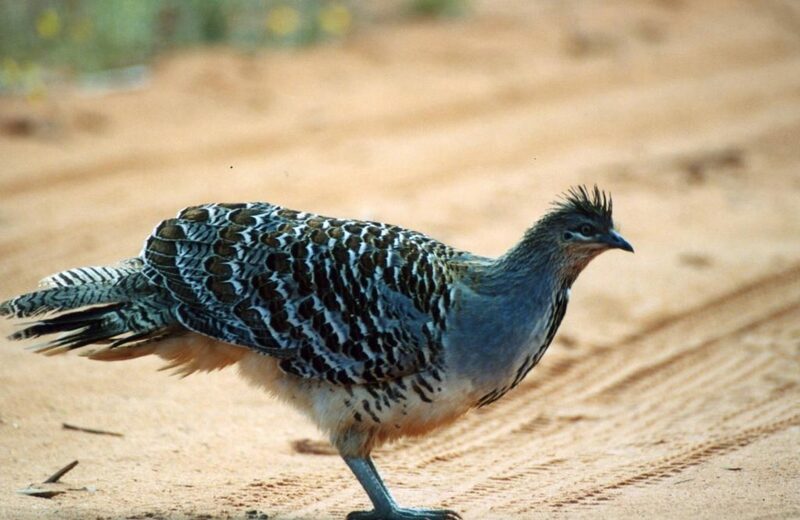 More than 65 malleefowl were raised and released at 14 sites in Francois Peron National Park between September 1997 and September 1998. Some released animals were fitted with radio transmitters to monitor their dispersal and survival rates. Malleefowl are still being sighted in 2016. 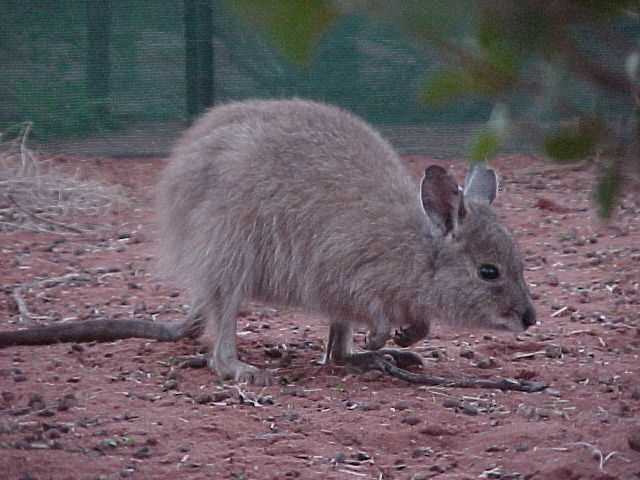 Woylies are small nocturnal macropods that dig for food and use prehensile tails when building elaborate dome-shaped grass nests. 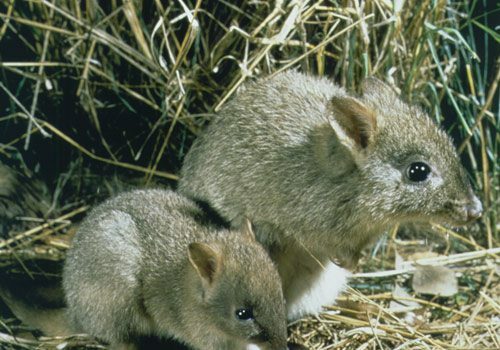 Woylie populations in the southwest of Western Australia had undergone phenomenal recovery in the 1990s which enabled direct wild to wild translocations. However, populations crashed in 2001/2002 and put them back on endangered species lists. Between September 1997 and September 2000 a total of 147 woylies from sites in the southwest, including Dryandra Woodland and Batalling State Forest, were released at nine sites in Francois Peron National Park. 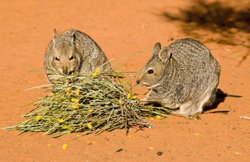 It was the first time woylies had been reintroduced to an arid environment within their former range. Most were fitted with radio collars so their activity could be monitored and they appeared to be doing well in the early 2000s but cats were having an impact and the reintroductions failed. Around the same time there was a sudden woylie population decline in the southwest. 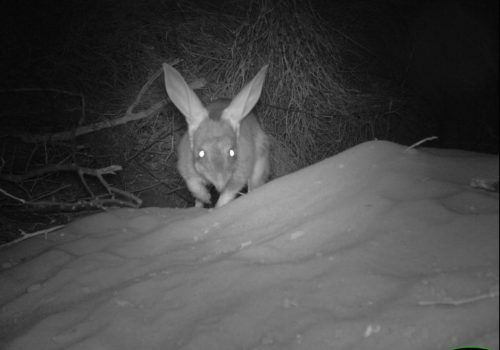 Bilbies are powerful excavators that dig spiraling burrows to nearly two metres deep. They emerge from these shelters to forage at night. 151 bilbies from the Peron Captive Breeding Centre and 20 from Dryandra were released at ten sites on Peron Peninsula between October 2000 and 2005. Bilbies were still doing well when about 30 more were released on the peninsula in 2013. Bilbies are still being sighted in 2016. This hare-wallaby lives in groups and shelters under dense shrubs during the day. It is one of the world’s most geographically restricted mammal species with Bernier and Dorre Islands in Shark Bay having the only remaining wild populations of these animals. The species was last sighted on the mainland more than 100 years ago. In 2001 there was a trial release a small group of banded hare-wallabies into Francois Peron National Park. It did not succeed as this docile animal proved particularly susceptible to cat predation. As some animals survived for 10 months and raised joeys it was considered likely translocation would succeed in an environment free of feral predators. In 2004 Project Eden supplied 49 banded hare-wallabies to the Australian Wildlife Conservancy for release onto Faure Island in Shark Bay. The translocation was successful and banded hare-wallabies are thriving on the island. 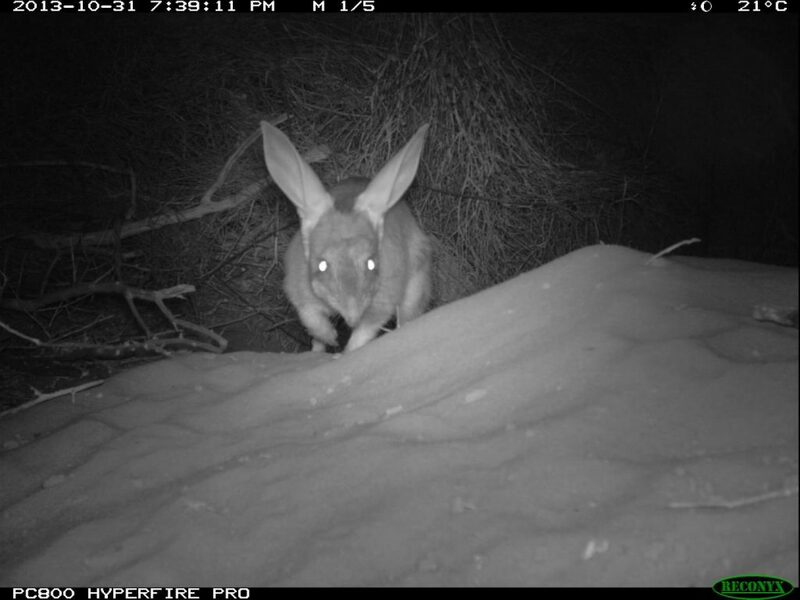 Reintroduction of banded hare-wallabies did not succeed on Peron Peninsula. 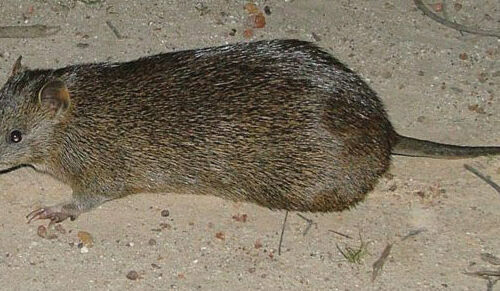 This small macropod comes out of its squat, a shallow scrape or trench under a small shrub, to feed at night. Also known as the mala, it was once found throughout arid parts of Australia. Malas now only occur on offshore islands and mainland Australia where they are protected from feral predators in fenced enclosures. The last wild mainland populations were moved to fenced enclosures in 1995. 29 animals from a protected Tanami desert population were brought to the Peron Captive Breeding Centre in 1999. A small group was released into Francois Peron National Park as part of a trial reintroduction in 2001. The release was not successful because of cat predation and some animals did not adjust to the release. 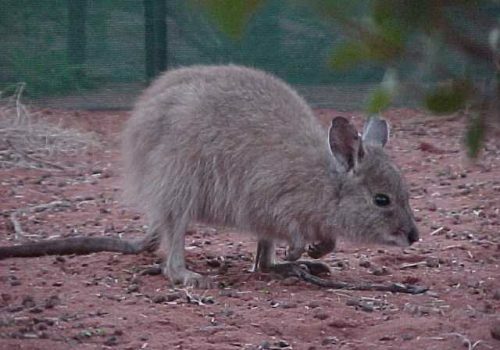 Some mala survived for up to 10 months and raised joeys which suggested that future translocations into environments without feral cats may succeed. 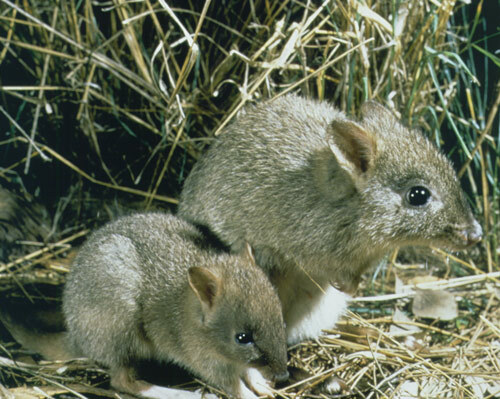 Although suffering a reduction in its historical range this small bandicoot is still reasonably common in southwest and southeast Australia. As Shark Bay was once part of the quenda’s natural range, 40 quenda from the Perth metropolitan area were released into Francois Peron National Park in 2006 and 2007. The reintroduction did not succeed despite early signs of quendas breeding and spreading through the park.